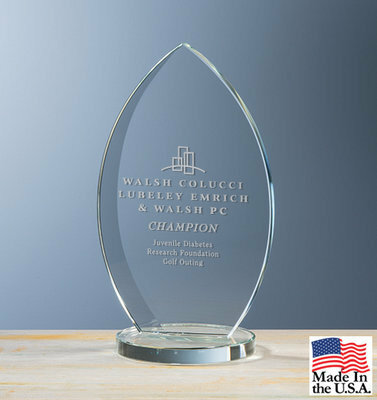 Our Eclipse Award is crafted of starfire crystal and features a flame shape that can be etched with your company logo or short message. Set on a distinctive crystal base, your elegant award is available in three sizes and comes packaged in an attractive gift box. Proudly made in the U.S.A.